Oden stayed with us the past two weeks. We had two trips to the zoo and two baseball games. As we were leaving a minor league baseball game, he said, "Oh, look, a hippie van." I told him I had one like this but with a different paint job, and a sun roof. Great photo Jan...your a fun Grandmother. Cute pic. love the hippie van. Sounds like you all are having a great time. I saw the van and I thought Hippie van, that's my era. OLD hippie! 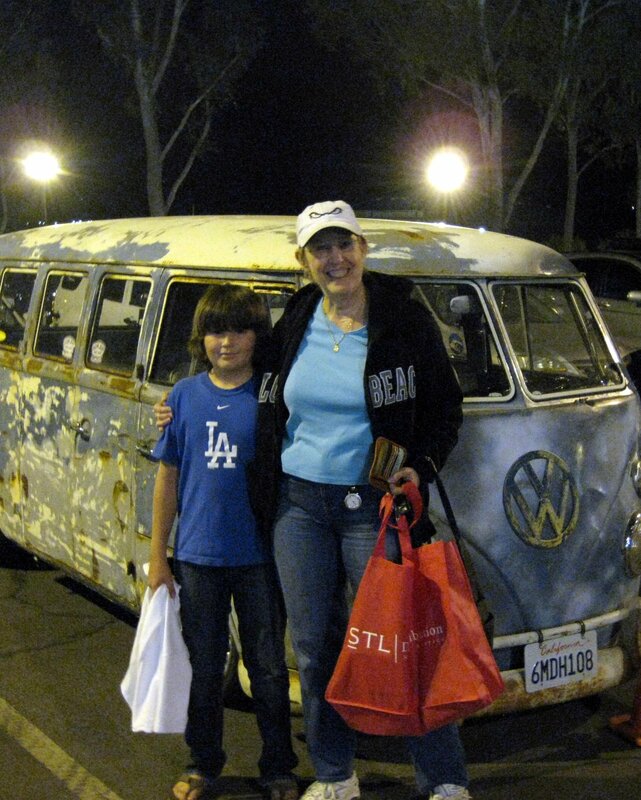 Before we got the Fiat my husband was aching to buy a VW van or a 67 Chevy van like the Mystery Machine, lol. You two look very happy!